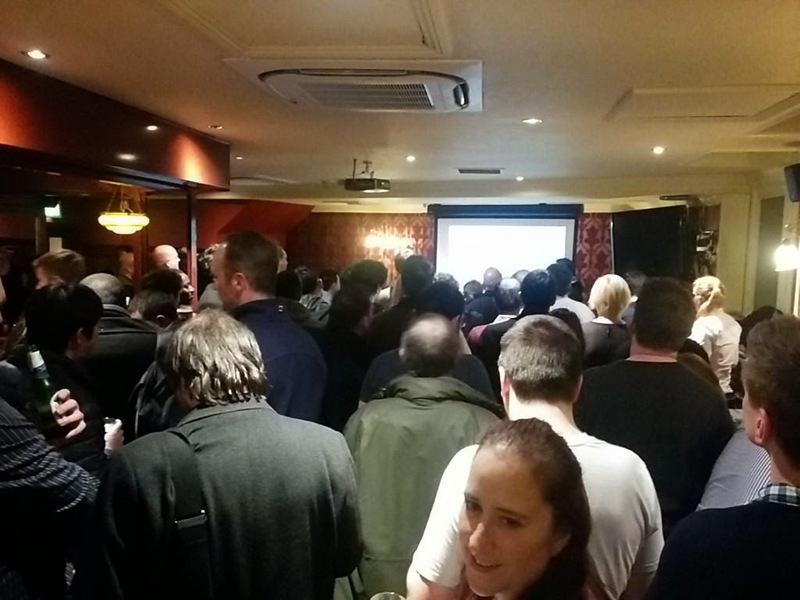 In order to save constantly repeating myself here is how the London #TesterGathering works. If you want to sponsor it is a minimum of £600 (+VAT). You can however put in whatever amount you like (or top it up on the night). You can either be invoiced or place a card behind the bar. This goes to the venue hire. This may vary, it will be dependent on the venue cost. If there are two willing sponsors there may be events with joint sponsorship, the amount is the same for both sponsors and it all goes behind the bar. access to a room of eager to listen people who work in software development, most of them will be Testers. Thanks to @stephenjanaway for the picture. a chance to get people interested in whatever you are sharing with us. a chance to launch something. a chance to discuss what you have directly with your target market and get direct feedback. association with the London #TesterGathering. a pleasant evening with a lot of discussion. There are 2 x 15-20 minute slots. Unless there are 2 sponsors in which case there is 1 extra session. 1 is for the sponsor. 1 is for someone from the community who wants to share something. There is a VGA projector and/or a HD TV. If it's required there is a portable PA system. Has a presentation they would like to deliver related to something they sell. Wants to talk about something related to who/what they work with. May have a presentation with company logos all over it. Has something they want to ask. Is there as a person and not a representative of a company. Will not have company logos anywhere. Will not profit in any financial way from the presentation. Generally the evening starts at 18:00 and the talks being at 19:00. I post the event details to meetup.com and use Twitter/Linkedin/word of mouth to spread the word. The Twitter hashtag is #testergathering. It is generally held once a month in London venue. Please contact Marisol if you'd like to know more.